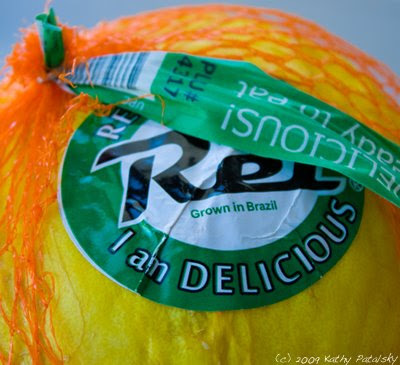 How to Read a Produce Sticker. Organic? GMO? Is this Italian Kiwi organic? How about genetically modified? It's easy to find out - simply read the sticker! 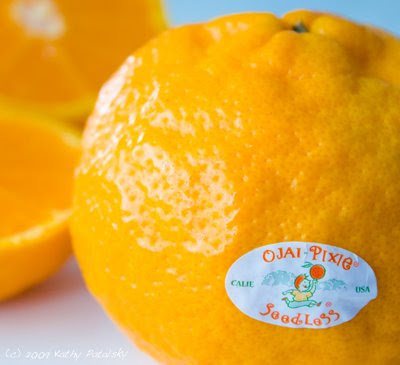 Produce stickers and labels hold a lot more information than simply the cute name or slogan of a fruit of veggie. 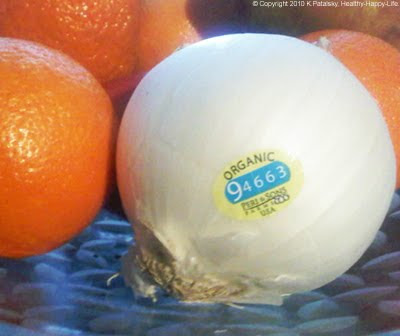 By reading the sticker number, you can actually confirm if the piece of produce you hold in your hand is organic, not organic and/or genetically modified. How? First, stop smiling at the cute Garfield face on the banana sticker and find the code. Next...notice that the bar code on that sticker is for price information. Next, notice that the labels on fruits and veggies will have a 4 or 5 digit code. If your produce has 4 digits, it means that it was "conventionally grown, but not organic". If it has 5 digits, and begins with a 9, it means that the produce was organically grown. A 5 digit code that begins with an 8 indicates that the produce was genetically modified. 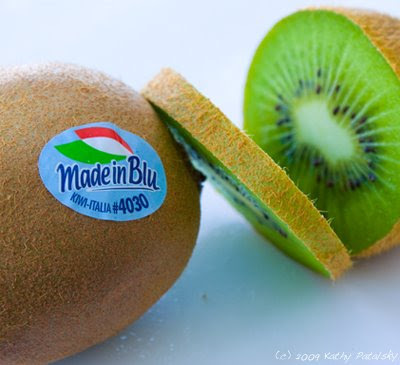 For example, the kiwi in the photo above has a code "4030"
So, this kiwi is not organic, but conventionally grown. It is NOT genetically modified. The same is true for the melon with the number: "4317"
If an apple sticker said "96584" it would have been grown organically. An apple with "86584" would be genetically altered.